Private Day tour is an attractive touring package for those who desire to spend some time to explore around. Commencing this one-day tour let you enjoy the local culture, scenic beauty, busy city roads of Kathmandu valley and many more exploration around. Adventure Gorkhaland Tours & Expedition Pvt. 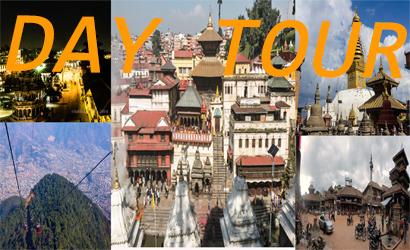 Ltd is organizing private day Tour around Kathmandu valley. Exploring the beauty of Nepal within a day is just a small glimpse of urbanization of Nepal, but the exploration around the part of Kathmandu with an experience guide will fascinate in one-day tour package. See more. 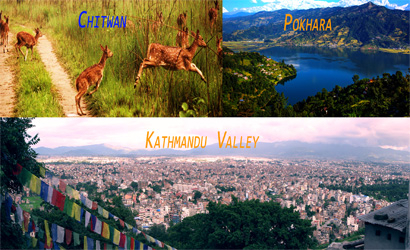 Private Day tour let you experience the cultural, natural and religious scenic places around the Kathmandu valley. This tour package offers you to visit the would historical sites around Kathmandu valley, mountain flight and many more exciting one day activities you desire for. The panoramic views of Kathmandu Valley & Himalayan ranges from Annapurna to Everest makes any one feel like seeing whole Nepal from this hill. 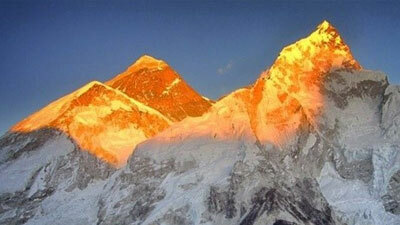 Mountain flight appeals to all categories of travelers, trekkers. For those people who has desire to make Mountain flight in Nepal, lack of time or physical fitness, can experience breath-taking as well as the closer panorama of the Himalayan Ranges with the Mountain Flights. 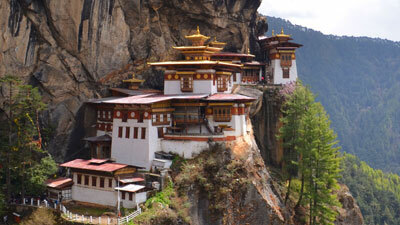 Mountain flights are offered by different Domestic Airlines (Buddha airlines, Yeti airlines, Gorkha airlines etc.) in Kathmandu Valley operating their small but safest aircrafts. A scenic flight above the Himalaya range offers you a chance to enhance the beauty of the nature and Himalayas of Nepal. Mountain flight offers you a glimpse of the long Himalayan range. 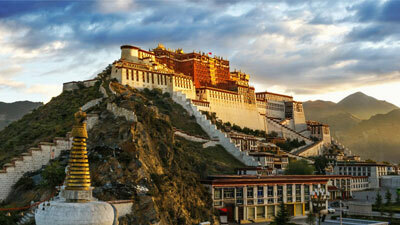 This flight tour is operated by an experienced pilot who knows the Himalayas and provides knowledge you require. Mountain flight in Nepal is an hour trip that fly above Mt Everest which provide a perfect panoramic view of beautiful nature all around. Known as Kantipur, the capital of the Kingdom of Nepal. Here you will visit the temple of the Living Goddess whom Kathmandu Valley acknowledges the greetings of the devotees from the balcony of her temple residence. Kashtamandap - the source of the name Kathmandu and supposed to be made from the timber of a single tree and the Durbar Square are with its array of temples overlooked by the Hanuman Dhoka Palace, the ancient place of the Nepalese Royalty. Buddhist Stupa Swayambhunath Stupa is said to be 2000 years old. The Stupa which forms the main structure is composed of a solid hemisphere of brick and earth supporting a lofty conical spire capped by a pinnacle of copper gilt. Painted on the four sided base of the spire are the all-seeing eyes of Lord Buddha. This hill is a mosaic of small Chaityas and Pagoda temples. Patan also known as Lalitpur, is the city of fine arts, enclosed within 4 stupas said to be built in 3rd century AD, by Emperor Ashoka. You will see the Durbar square; the Krishna Temple built by Kind Siddhi Nar Singh Malla, Hiranya Varna Mabavihar and Mahabouddha Temple. A trip to The Tibetan Refugee Camp and the Handicraft Center will also be done while visiting Patan, where you will witness the hand weaving of Tibetan carpets and mounding of metal statues. Pasupatinath temple is one of the holiest temples dedicated to Lord Shiva. Pasupatinath Temple amidst a lush green natural setting on the bank of the sacred Baghmati river, the temple built in pagoda style has glitter roof and richly carved silver doors. 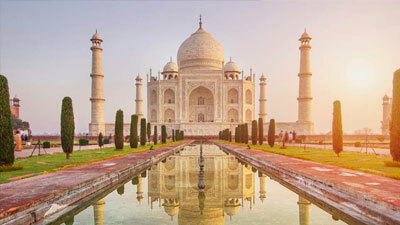 Visitors will be permitted to view the temple from the east bank of Baghmati river, entrance in the temple being strictly forbidden to all non-Hindus. Pasupatinath is the center of annual pilgrimage on the day of Shivaratri which falls in the month of February/March. Behind the temple are the cremation grounds. This Stupa is one of the biggest Bouddhanath Stupa in the world of its kind. It stands with four pairs of eyes in the four cardinal direction keeping watch for righteous behavior and human prosperity. This Buddhism Stupa was built by King Man Deva at the advice of the Goddess Mani Yogini. It is built on an octagonal base inset with prayer wheels. The shrine is ringed by houses of Lamas or Buddhist priest. 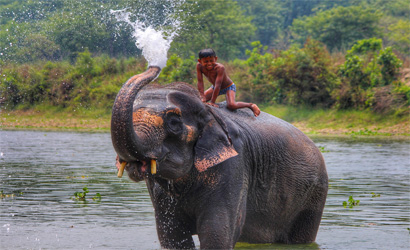 Seven kilometers from Thankot, lies on the South-West of Kathmandu Valley and is 2551 meters from sea level. Soaring peaks and breath taking views of whole Kathmandu Valley covered with lush green blanket of flora makes Chandragiri truly a great bountiful and pristine landscape. The panoramic views of Kathmandu Valley & Himalayan ranges from Annapurna to Everest makes any one feel like seeing whole Nepal from this hill.